Building a 370 with a lot of Holley swap stuff. Put holley pan on finally and was turning engine over by hand and it stopped. Went back the other way and same thing. Uh oh. Pulled the pan off and found that #2 rod bolt was hitting pan. Ugggg. The pan has a cast in bulge right in this location but it was just a little off. Great. Took a little off the pan with a grinder but it wasn't enough and didn't want to go too deep. Had to grind down the offending bolt head. Nothing like having to make a bunch of metal bits on an engine I have taken so much effort in keeping clean. Properly covered engine with large garbage bag except for the one bolt and did the deed. All good now. One thing that really aggravated me is the large "China" insignia inside the pan. Come on Holley ! Had I known this I would not have used it. I would replace that bolt, hopefully you can remove it with the torx that you removed and get a pan that fits. Grinding off rotating parts could lead to a vibration and loss strength of the bolt. 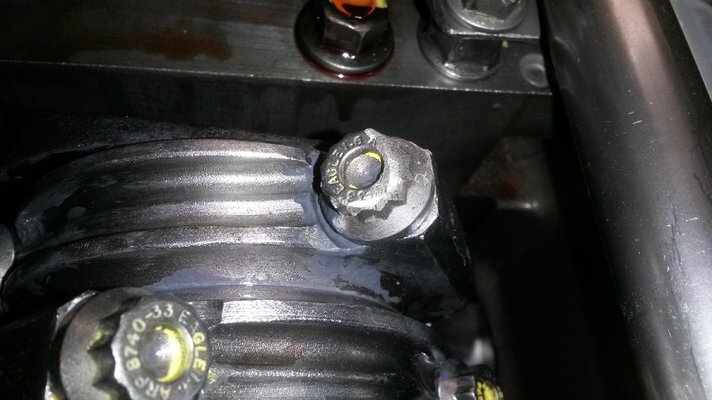 Known issue with aftermarket rod bolts. 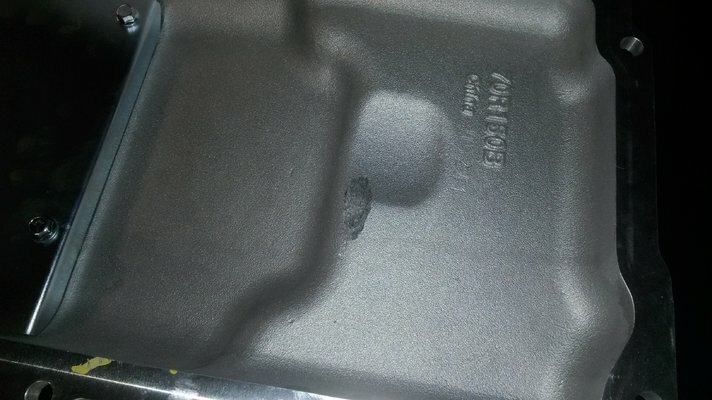 Was the interference with the pan gasket in place? What pan is it? Yeah, don't try and lay blame on Holley for your poor planning. Being cast/machined in China had nothing to do with your 'Merican rod bolt not fitting their pan. I would have ground a hole through the pan and had it welded up before even looking at the rod bolt with a grinder. And if you think that was bad - you should see the port job I gave my Holley Midrise intake and 302-3 pan. This stuff just needs work - plain and simple. Not blaming Holley other than the china biz. You must have a 302-2. The 302-3 is a little bigger and will handle a 4.0” stroke. A little more room.